Time to get the family out for a spring camping trip, but what exactly is the best RV choice to match your travel needs? 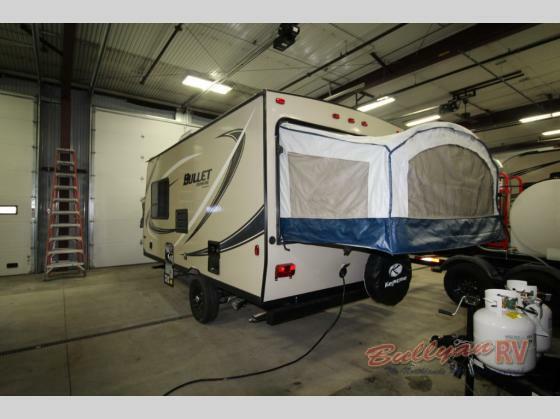 Bunkhouse travel trailers are popular due to their large amount of sleeping space and full kitchen and bath, but weight is sometimes a issue depending on your towing ability. Pop-up campers are also a nice option. 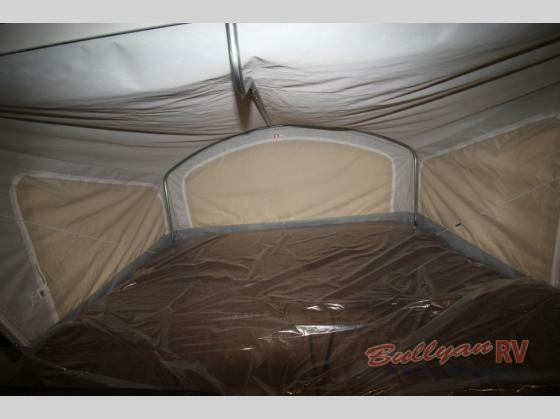 They are lightweight and offer a large amount of sleeping space in a small package, but they can be a hassle to set up and have only basic amenity options. The perfect compromise is the Expandable Travel Trailer Camper which offers the best of both worlds. 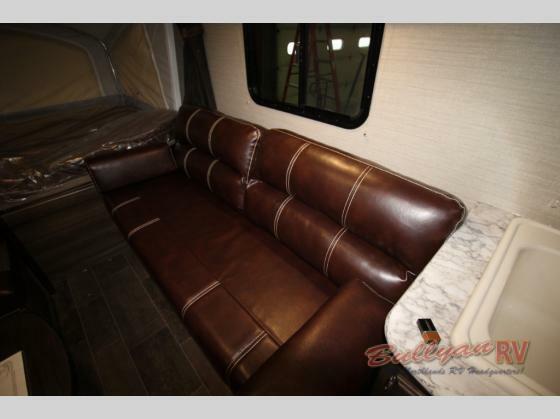 This is an ideal solution offering plenty of sleeping space and solving weight issues many families face when looking for a travel trailer. One expandable travel trailer model, your family is sure to love is the Keystone Bullet Crossfire Expandable 1650EX Expandable Trailer. 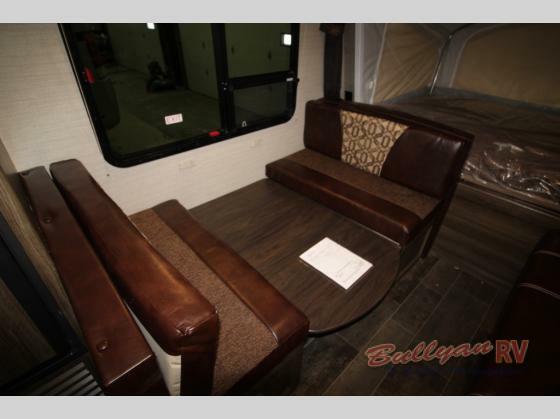 With sleeping space for up to 6, you will be able to fit all of your happy campers comfortably. 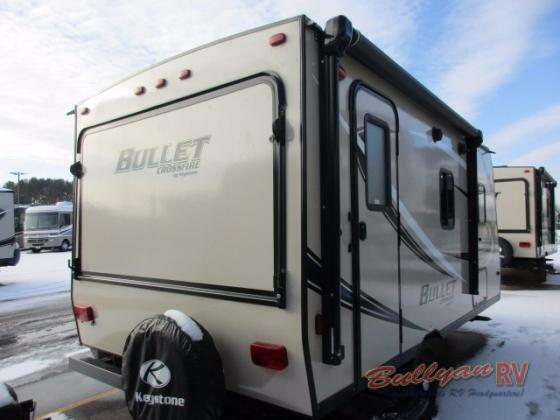 The Bullet Crossfire 1650EX weighs only 3400 pounds unloaded so you will be able to easily tow this RV with a midsized SUV or truck as well as save money on fuel. 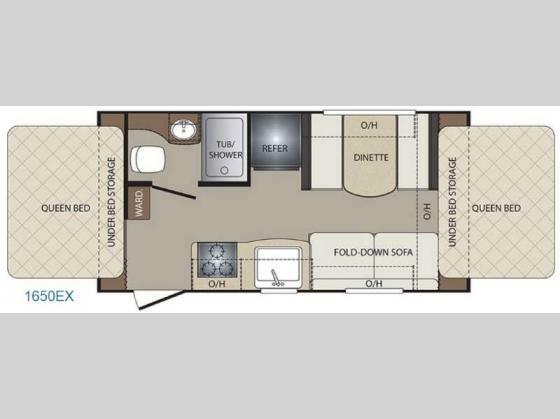 This efficient floorplan features a full bathroom with tub/shower, sink and toilet, as well as a fully equipped kitchen, a dinette, sleeper sofa and two queen sized fold out beds. 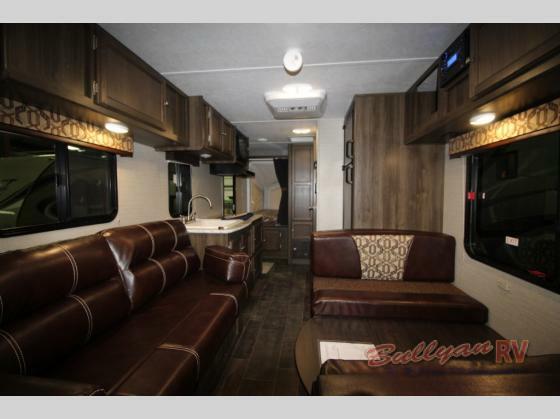 There’s a lot of interior room available in this compact RV footprint. During transport, the front and back easy fold up into an aerodynamic profile that will glide down the road. Darco moisture barrier protection keeps the interior safe and dry. Aluminum framed front, rear and side walls with a laminated fiberglass exterior come together to make this a durable trailer you can rely on. The electric brake system on all tires gives you more control and safety when slowing down and stopping. Feel like a picnic? Relax outside under the large electric awning peacefully enjoying a light breeze while remaining comfortably in the shade. Bring the family to check out the roomy and lightweight Keystone Bullet Crossfire Expandable 1650EX Expandable Trailer. Contact Us at Bullyan RV or visit us at Our Location. Camping season is finally here!